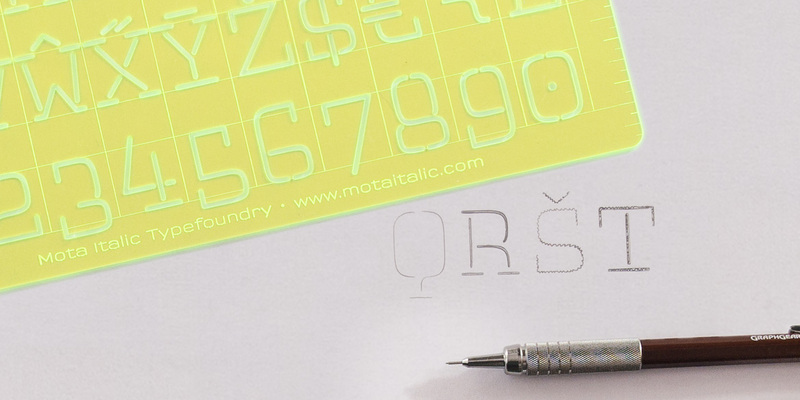 This Motamatic Lettering Guide features the monolinear, monospaced Fip Light typeface. The stroke widths are precisely cut so the letters can be conveniently traced as a single stroke with most pens or pencils. • They are etched and cut by high tech amplified light beams! Fip is also available in a diverse family of 48 fonts. You can see and license them exclusively here. This product is currently out of stock. Sorry! If you are interested in it, please contact us to let us know.